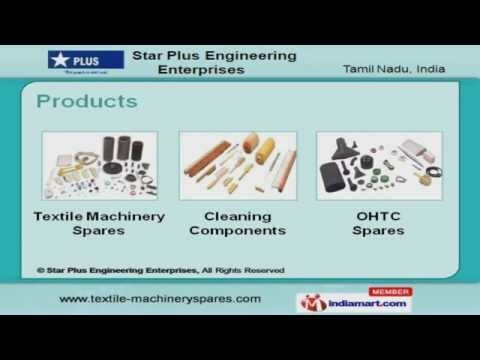 Welcome to Star Plus Engineering Enterprises, Manufacturer and Exporter of Precision Engineered Textile Machinery Spares, Cleaning Brushes and Clearer Spares. The pany was established in the year 1995. Our Modern testing labs and Team of engineers help us to achieve a present repute in the market. Customized products, Ensuring international standards and Precision engineered ponents make us the first choice of our clients. Our quality parameter covers Diameter, Depth and Finishing tests. We offer a vast range of Textile Machinery and OHTC Spares. Our Clearer and Autoconer Spares are widely appreciated in the market. Pneumatic Products and Fluff Cleaner offered by us are available at industry leading prices. We also provide Brake Shoes and Winding Spares that are extremely reliable. Along with that we offer Plant Nozzles and Top Rollers that are superior in performance.